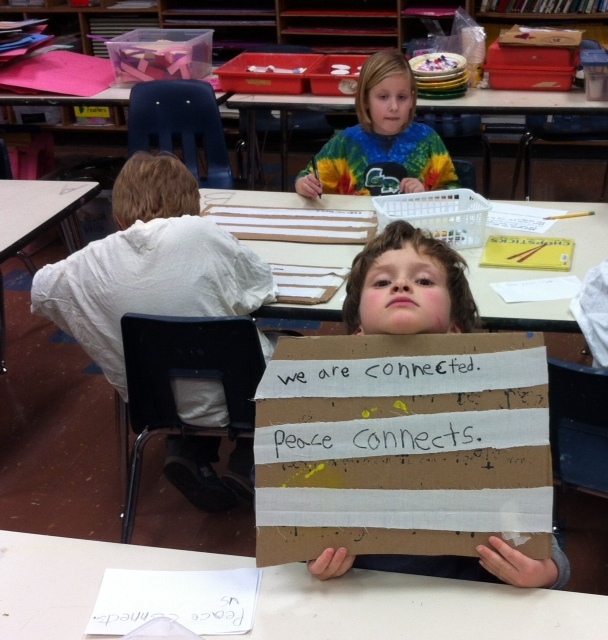 Among the messages of kindness and peace from first grade students today was, “We are connected. Peace connects.” What a wonderful message of unity! Today we talked about developing empathy for others and understanding why individuals sometimes make choices to show bullying behavior. 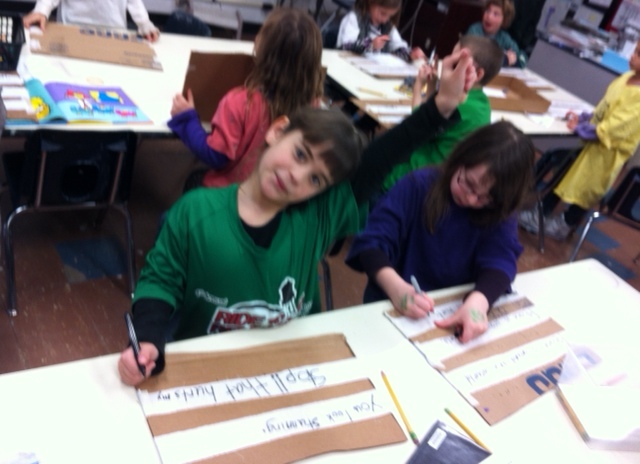 We identified with both of the characters Blue and Red in the story One. We shared a thumbs up to show that we have felt sad or lonely like Blue, or sad, lonely, and angry like Red. Most of us could identify with being bullied and showing bullying behavior at one time or another. We also practiced using kind words in the form of support and recognition, compliments and encouragement, invitations to be a part of the group, and telling a joke to make someone feel better. We are learning that words are powerful. We are learning to use our words to stand up for ourselves and others and make the choice to treat others with kindness.